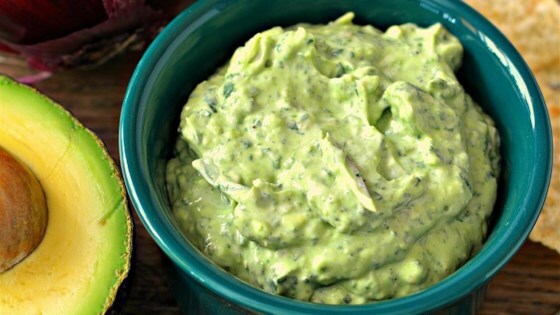 "Keep this creamy avocado dip covered and chilled until ready to serve." I was expecting more of a spinach dip. this recipe is more of a guacamole. I highly recommend making a double batch, this is that good. Just the right amount of spiciness from the jalapeno and hot sauce. I had to amend it a little due to what I had in the cupboards, but it was delicious and I can only imagine that the unaltered version is even better. The best dip at the party! So easy to make! I’ve never made a spinach dip before, but it came out literally perfect! Tasted SO good as well!! 5 stars!!!!! I made the recipe with no changes and served it with a veggie tray and crackers. Everyone loved it. Who knew lo-cal could taste so good? I will definitely make it again.